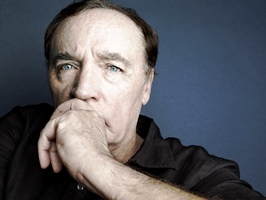 Bestselling author James Patterson is to donate £50,000 to help schools fund books for classrooms and libraries. In collaboration with Scholastic UK Book Clubs, Patterson’s Big Book Giveaway will make over £25,000 available to schools and teachers in both the autumn and spring terms of this school year. One hundred schools will receive funds of £250 each term to spend on books via Scholastic’s Book Club, whilst Scholastic will top up each £250 donation with 25% in extra rewards to enhance the amount of books that schools are able to buy. Analysis from school responses to Scholastic’s Reading Audit survey shows that although 87% of schools have a library, 77% have less than the recommended minimum number of books for their roll size and 88% of schools replace less than 10% of their book stock per year. Teachers involved with the Scholastic Book Club network are invited can apply for one of the grants at www.scholastic.co.uk/jamespattersongiveaway; applications must be submitted by 31 October 2018 and winning recipients will be selected by Scholastic and James Patterson. He said: "Libraries are at the heart of every school, and I’m thrilled to be partnering with Scholastic to continue to underscore both the need to sustain them, and the vital role that school libraries, librarians and teachers play in transforming lives and fostering a love for learning. I can’t underscore enough how important books and reading are to a child’s development – better readers make better people and ultimately better citizens." children have choice remains a perennial problem. School libraries are such an important way of giving every child access to the best books to help them develop literacy skills and a love of reading for pleasure. We are delighted to be working with James Patterson and Penguin Random House to ensure that via Scholastic Book Clubs, James’ commitment to offering practical help to teachers will enable more schools to stock their libraries and build passionate readers across the UK." Patterson has been collaborating with Scholastic in New York via its Book Clubs since 2015, offering grants to enable schools to purchase new books, add bookshelves and improve book catalogue systems. He is one of the biggest-selling authors of all time, having shifted around 375 million copies worldwide, mainly of thrillers, but has also written for children. He has also donated £500,000 to UK independent book shops in partnership with the BA, funding everything from new carpets and shelves to schemes to get children reading.